Today was not a nice day out. It snowed, a lot. It was also cold and windy (Is April aware that it is April?) So while the little man slept I threw together an activity for him to do when he woke up. Now he has been really into shapes lately. 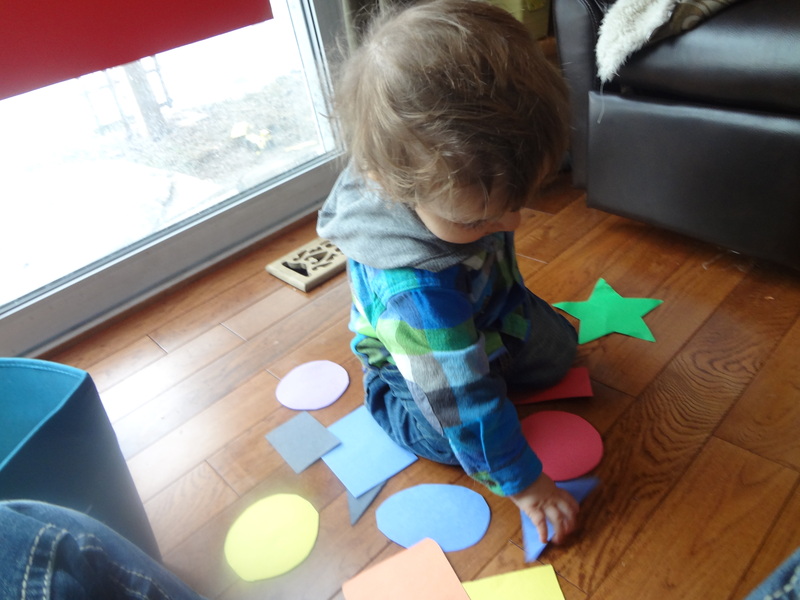 He has this book that names all the shapes and he points to them until I say them out loud. I had been to the dollar store recently and picked up a bunch of Bristol board and these small Velcro dots, I didn’t specifically have this activity in mind when I bought them but I figured I could do something with them and it was really a whim. 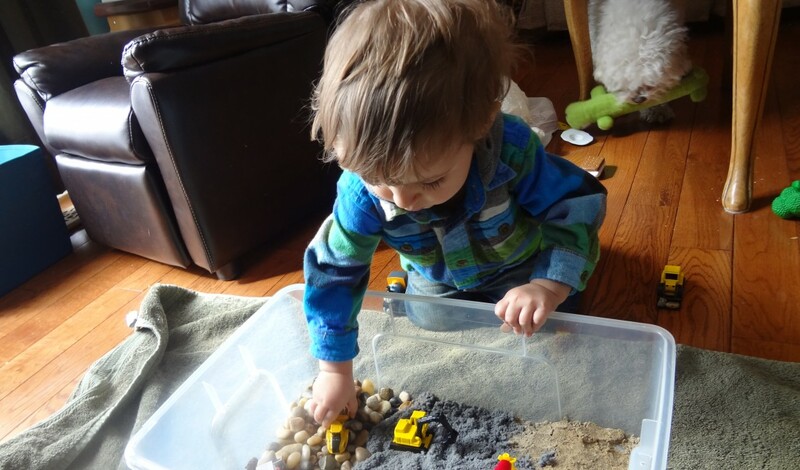 This is a really simple and inexpensive activity to do with your little one, my guy is 22 months but it would work for an older toddler or even a younger one. 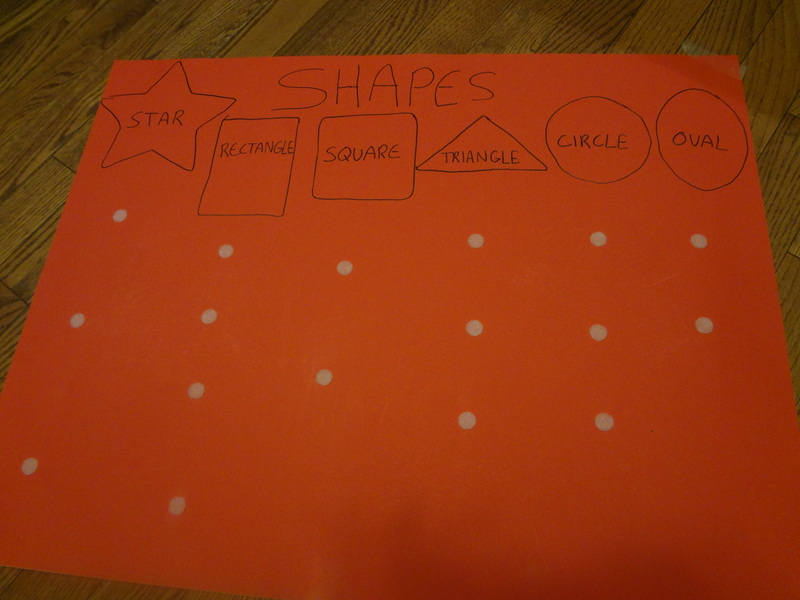 I drew an outline of the shapes I decided to use and labeled them on my Bristol board. I added the Velcro dots under each heading, the amount depending on how many I planned on cutting out of each shape. 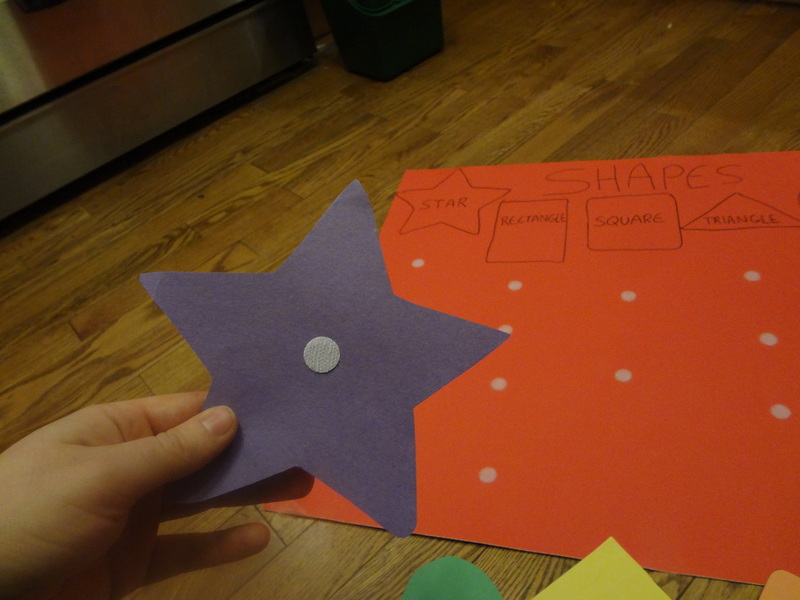 I traced or freehanded the shapes on some construction paper (For a more durable activity piece laminate the construction paper first) and added the opposing Velcro dot. The idea is for them to sort the shapes into the correct column, sticking it on with the Velcro. Long story short it was a success! I taped it to a window, because lets face it there isn’t a lot of wall room in our house. He picked up the idea pretty quickly, and spent about 20 minutes focused on the task at hand. 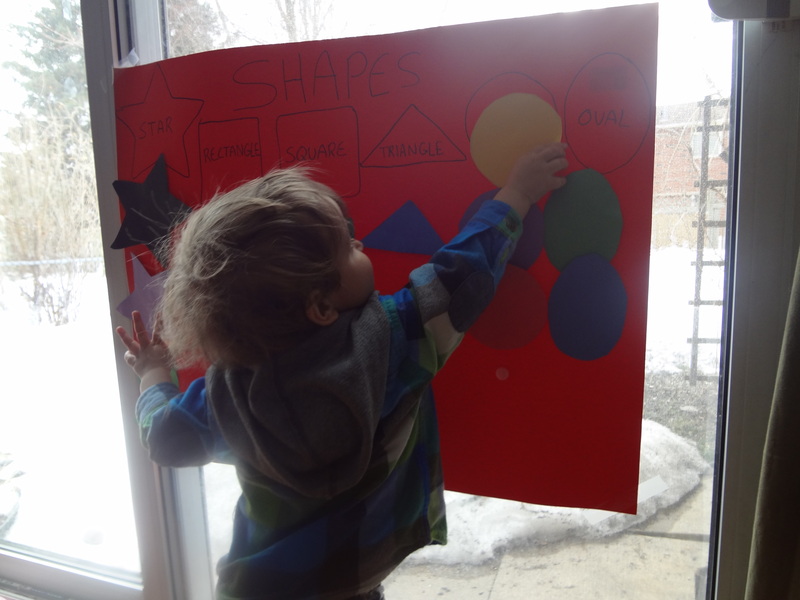 He needed a bit of help distinguishing the squares from the rectangles, but hey, they are pretty similar! 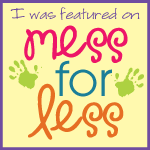 Well, I hope you enjoyed our first blog post, be sure to stay tuned for more fun to be had with little ones!